Can Herniated Disc Pain Be Treated Without Surgery? Vertebral discs are made up of a gel-like substance surrounded by a ring of cartilage. They enable the back to bend and move freely. When that freedom is disrupted, the head, neck, and back become stiff and unable to respond to daily activities like stooping and bending, which can be the result of a slipped or herniated disc. You may have heard of the phrase, “pinched nerve” when reading or hearing about slipped or herniated discs. It’s the most common complaint in patients with a herniated disc in the neck or lumbar spine. A pinched nerve can lead to numbness, pain, and tingling in the spine or down the legs. Discs are just soft pads located between spine bones (vertebrae), so it’s not uncommon for these to deteriorate over time. While most people see a natural progression towards improvement without treatment within six months, it can be treated specifically with the below remedies as well. This kind of pain can lead most people to the conclusion that surgery is necessary, but that’s not always the case. Let’s explore some alternatives that can be entertained before considering surgery for a slipped or herniated disc. A lot of mainstream physicians immediately refer chronic pain patients to a pain management physician, who usually prescribes pharmaceutical medications or refers the patient to surgery. Surgery comes with a host of risks, both minor and critical, and long-term opioid use for pain is out of the question. The best course of treatment is always the one that’s comprehensive and addresses whole-body health. For example, one positive alternative to treat herniated disc pain is receiving spinal injections that reduce inflammation and relieve the source of the pain. Specific exercises that target the affected region. This is usually learned through an occupational or physical therapist. The above options may seem like temporary remedies, but when employed on a regular and consistent basis and coupled with healthy lifestyle behaviors, they can lead to significant and long-lasting relief. Every human body is different, but physical therapy is something everyone can benefit from because its sole purpose is to help the human body move and exist comfortably in gravity. We have found PT regimens and education have been exponentially beneficial to our patients with a slipped or herniated disc. In the past, it was suggested that those with a slipped disc should seek bed rest and ice treatment. That was the standard for a long time; however, the latest research and observance of our patients indicates that targeted activity is best for this kind of condition. Resting in one position weakens muscles that your spine relies on to function, often making matters worse. Furthermore, relaxation techniques loosen and stretch muscles not otherwise used, allowing for complementary muscles to relieve the pressure from the muscles around the herniated disc. Relaxation and meditation improve your mindset as well. A better outlook on the overall condition and treatment process is a good way to face the pain. We don’t ever want you to feel like you need to numb the pain with addictive and restrictive pain medications or resort to risky surgery. Those should always be last-resort options. 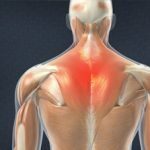 We understand that, in some cases, the pain is so severe that lying down or positioning yourself properly in a chair, bed, or recliner is one of the only ways to relieve pain and release the muscles that are pulling on the slipped disc. 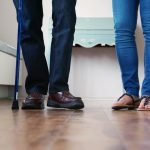 However, keep it in the back of your mind that to heal and strengthen the muscles that allow you to stand, walk, and move, you will need a good PT routine. Seeking physical therapy for strengthening muscles, improving posture, and stretching the areas around the herniated, slipped or bulging discs is one of the best things you can do for yourself. You don’t have to live with the pain forever, and you don’t need to resort to extreme measures. At OSA, our main priority is making sure the patient doesn’t undergo any unnecessary treatment risks. Regardless of which method or natural regimen works for you, we want to help you relieve the herniated disc pain. When you come in for a visit, we’ll talk to you about your goals and preferences when it comes to treatment. 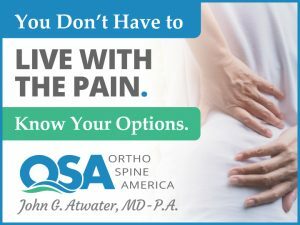 You will play the biggest role in your care at OSA, because you know your body and mind better than we do. We can help with the technicalities and provide the expert skills needed to reach your goals. Stay on your toes with updates from our Head-to-Toe blog, sent right to your inbox. There are a lot of options to help you relieve pain, and they don't have to be expensive or dangerous.